1• World Guinness Record in the Largest Fingerprint Painting with total area 436 square meter the campaign was under slogan "Make a finger print to our Iraq" the convoy of the campaign targeting to collect more than 1,000,000 One Million finger prints ... they start from Karbal through Najaf, Qadesia, Kut, Kerkuk, Erbil, Salahaddin, Baghdad & Babylon, on the 10th of May of 2016. 2• World Guinness Record in Largest Poster with total area of 7165 square meter consist the Iraqi culture map along more than 7000 years of civilization, in Karbala, Iraq, on 26th February 2016. 3• World Guinness Record in The largest helicopter formation flight consists of 30 helicopters over Baghdad, Iraq, on 6 January 2016. 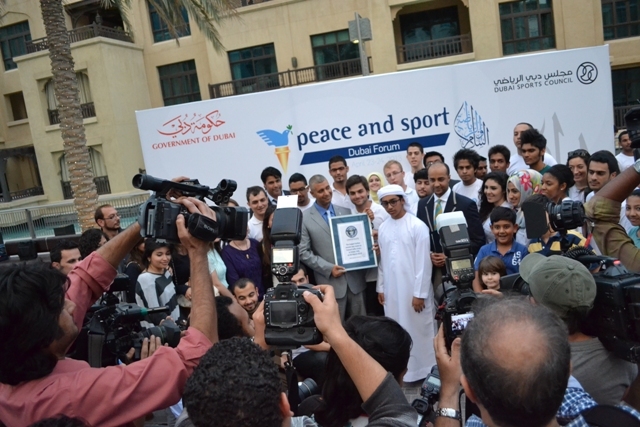 4• World Guinness Record in The largest reading lesson consists of 2,226 participants in Baghdad, Iraq, on 5 October 2015. 6• World Guinness Record in forming and designing The World’s Largest Soft Toy Mosaic of Symbol of Peace in University of Baghdad to spread the message of love to the entire world by promoting peace and greater understanding among diversity in Iraq. - November of 2014. 7•	World Guinness Record in forming and designing The World’s Most People In A Human-Soft Toy Chain in Najaf-Iraq. – October 2013. 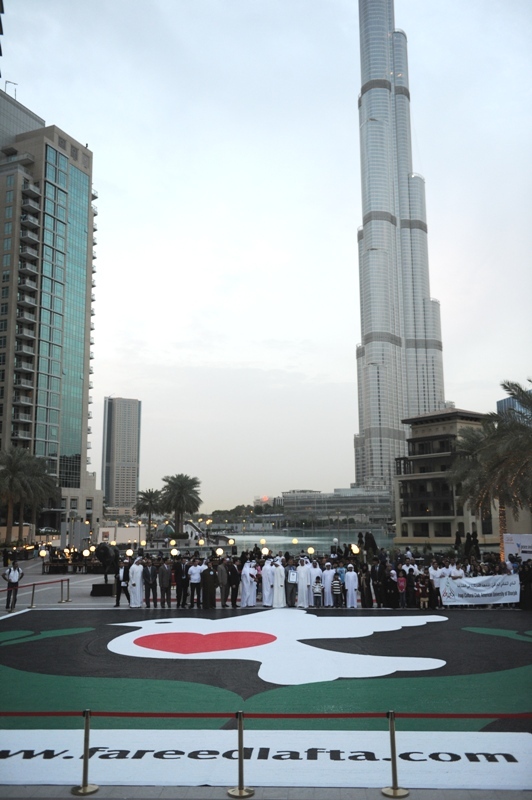 8•	World Guinness Record in forming and designing The World’s Largest Dove of Peace symbol in Dubai UAE to spread the message of love to the entire world by promoting peace and greater understanding among countries and cultures. - March 2013. 9•	World Guinness Record in Largest Flag Flown Whilst Skydiving in Illinois - Chicago, USA - on the 12th of August of 2012. 10• Childhood Ambassador for Iraq on the September of 2015. 11•	Goodwill Ambassador of Rashid Centre UAE, which provides education and therapy services to children with Special Needs – March 2013. 12•	Goodwill Ambassador of The Fourth Dimension Foundation for culture and media – 2013. 13•	Flew in lawn chairs attached to 350 huge cluster helium balloons around more than eight hours in Oregon / USA – July 2012. 14•	Peace Ambassador to The US Iraqi Youth Organization in Washington DC – February 2012. 15•	Goodwill Ambassador for Maysan University/ Iraq – April 2012. 16•	Good Will Ambassador to The Iraqi Jurists Union – April 2012. 17• First elected athlete as Goodwill Ambassador to The Iraqi Red Crescent Society – January 2012. 18•	Honored as the First Fellow to the Iraqi Ministry of Women Affairs – December 2011. 19•	Coronation as World Peace and Sport Ambassador in Monaco – 2011. 20•	The first civilian performing peace jump while skydive over Kubal / Afghanistan to hope and outreach for peace - 2011. 21•	The First Iraqi Parachute jumped at 90 degree to the North Pole’s highest tip from 3000ft above the frozen Arctic Ocean representing Arab and Asian, furthermore buried down under 4622 meters in the North Pole’s ocean’s floor a cylinder that contains a handwritten message promoting peace and love – July 2010. 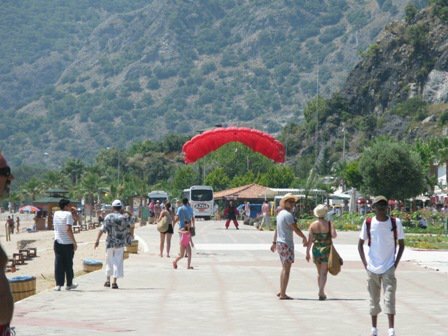 22•	Represented Iraq in the World Parachuting championship in Montenegro – 2010. 23•	Represented Iraq in the International Indonesian Parachuting championship – 2010. 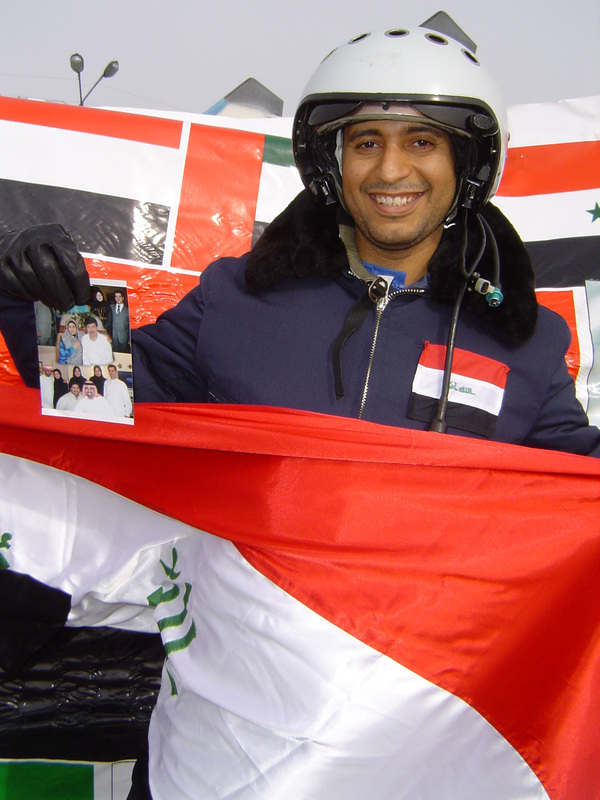 24•	Represented Iraq in the 13th Asian Parachuting Championship in Indonesia – July 2010. 25•	Represented Iraq in the First Gulf Cup championship in Dubai – 2010. 26•	Represented Iraq in Dubai’s International Parachuting championship - 2010. 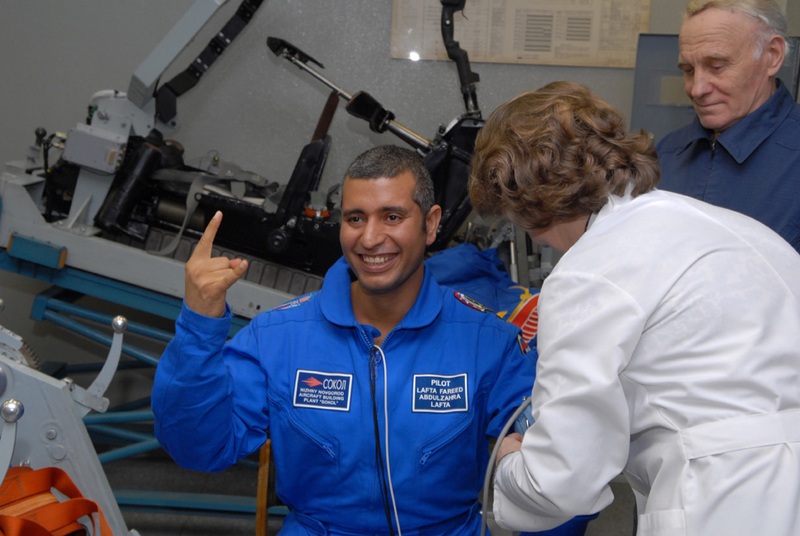 27•	Nominated by the Arab Union for Astronomy and Space Science representing Iraq and the Arab for research gathering – 2009. 28•	Conducted the first civilian peace jump in a war zone area over Baghdad to promote peace – 2009. 29•	First Iraqi flies to the edge of the space in a MIG 29 at 90000ft – 2009. 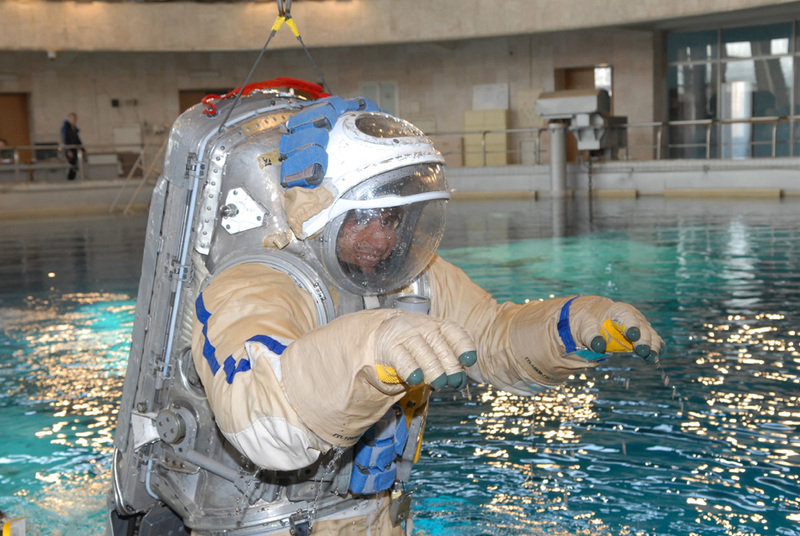 30•	First Iraqi Qualified Cosmonaut – 2009. 31•	First Iraqi civilian pilot participate with the Military Worlds Air Championship show fly on AL39 – 2009. 31•	World Record by taking part in first ever skydiving above Mount Everest at 30,0000ft – October 2008. 32•	First Iraqi started Free Scuba diving, achieving a lung-busting for 4.5 minutes depth of 80 meters under sea surface - 2007. 33•	First Iraqi Powered Parachute Pilot – 2006. 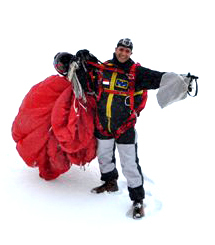 34•	First Iraqi International Paragliding Pilot – 2005. 35• World Guinness of Records for the most people contributing to a stamp image in Amman, Jordan on 8 October 2016. 1• The pride of the Iraqi Industry-Karbala People, Iraq. 18• The Phoenix - Poet.Naseem Al-Daghestani. 21• The King of Sky - Kareem Al-Iraqi.